Joseph James Pappas is a suspect in the slaying of Houston cardiologist Mark Hausknecht. Joseph James Pappas, 62, should be considered armed, dangerous and possibly suicidal, police say. 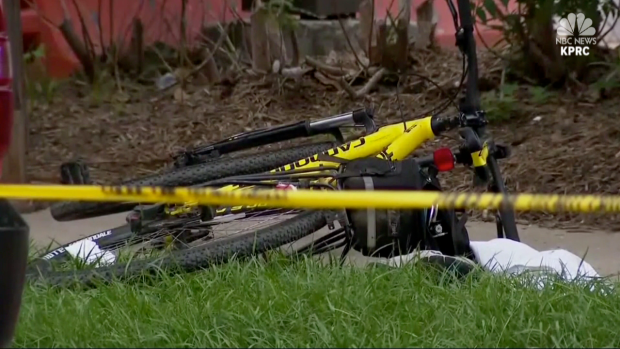 Pappas is suspected in the slaying of Dr. Mark Hausknecht, who was gunned down while riding his bike to work July 20. 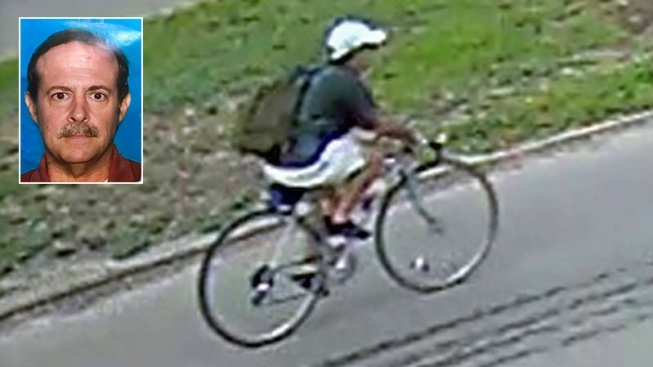 Police say the suspect is white, very fit and is likely getting around on his 10-speed bicycle. Joseph James Pappas, 62, should be considered armed, dangerous and possibly suicidal, Houston police Chief Art Acevedo said at a news conference Wednesday afternoon. "There was a lot of planning that went into this. There was a lot of planning and, sadly, some skill," Acevedo said of the July 20 attack on Dr. Mark Hausknecht. Hausknecht was gunned down while riding his bike to work at Houston Methodist Hospital, which is part of the busy Texas Medical Center. Authorities say the shooter rode past Hausknecht before turning around and firing. 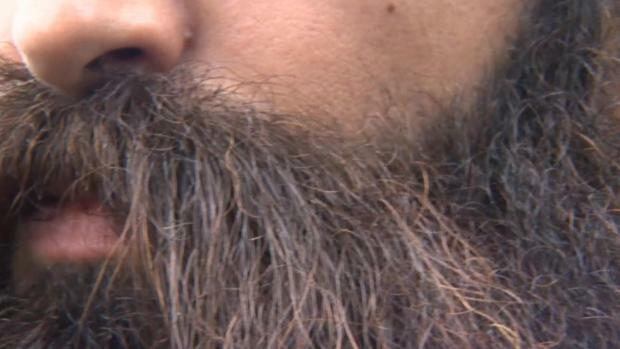 A tip on Tuesday led police to suspect Pappas, the chief said, though he didn't elaborate as to the nature of the tip. Houston police chief Art Acevedo says there is a high possibility that cardiologist Dr. Mark Hausknecht was targeted in an attack on July 20, when the former doctor for George H.W. Bush was gunned down while riding his bike in the Medical Center. Acevedo said Pappas hadn't been seen in 36 to 48 hours. He said the last anyone had heard from Pappas was in a Tuesday morning text message in which Pappas wrote that he was going to kill himself. Acevedo said police searched his home at 4 a.m. Wednesday and found evidence that ties Pappas to the killing, but he declined to elaborate as to the nature of the evidence. The chief said Pappas is very fit, and that he's likely getting around on his 10-speed bicycle, which he rides "extensively and almost exclusively." Hausknecht was also an avid cyclist and rode his bike to work each morning, as he lived less than 2 miles (3.2 kilometers) from his office. In 2000, Hausknecht treated Bush for an irregular heartbeat after the ex-president complained about lightheadedness. Neighbor Jim Herd said he has known Pappas all of his life, having attended the same high school and church as him. Herd described Pappas as a nice, quiet man who kept to himself and had few close friends. "He was a loner," he said. Pappas' house, in which no one was found Wednesday, is in an older, established neighborhood in southwest Houston. Most of the homes are single-story ranch homes with neatly manicured lawns. Indeed, Pappas kept a neat yard, Herd said, and he saw Pappas mowing his lawn a week after the doctor was slain. The house was home to Pappas's parents and their family from the time Pappas was born, Herd said, adding that Pappas inherited the house after his father's death about 10 years ago. Since then, Pappas had lived there alone. Herd said he and Pappas had few words but would wave at each other in passing — the last time on Saturday, when Pappas waved at him as Herd washed his car in his driveway. Herd said he does not remember ever hearing Pappas speak bitterly about his mother's death or place blame for it. But "it hit him hard," he said, and Pappas stopped attending church for a long time afterward. After police released photos from surveillance video of the suspect in Hausknecht's slaying, Herd said he thought it resembled Pappas but brushed the notion aside. "Never in a million years would I have thought it was him," he said.